We’ve reduced prices on 100s of everyday products. 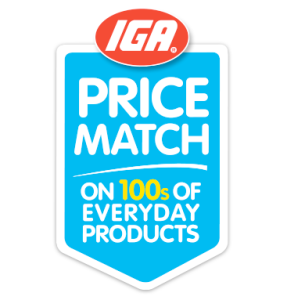 Every week, we compare and match 100s of everyday products, so you won’t pay more to shop at IGA Lennox Head. The prices are matched weekly to Woolworths or Coles everyday shelf price. Price Match excludes promotional and specials pricing. For more information click here for terms and conditions. We’re open from 6:30am — 8pm every day. See special Opening Hours. IGA Lennox Head is a proud supporter of IGA Community Chest. © 2019 IGA Lennox Head.